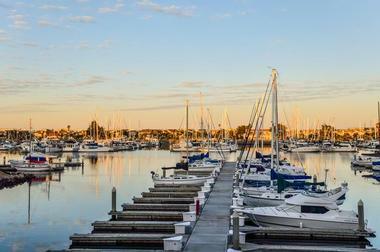 Oxnard is a lively beach town on California’s Central Coast next to Ventura. 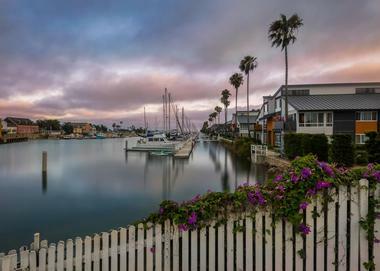 Known for it magnificent beaches, a well preserved historic downtown, Channel Islands National Park, and numerous festivals that take place year round, Oxnard, CA, is a wonderful West Coast weekend destination. Here are the best things to do in Oxnard, California. Mandalay Beach looks like all California beaches used to look like hundreds of years ago. This natural, romantic, wild beach starts at the end of the Oxnard’s West 5th Street. It is deliberately left in its wild state without facilities, since it is located next to the large Mandalay County Park, a preserve for California’s fragile dunes, dunes plants, wildlife, and adjacent wetlands. The Least Tern and the Snowy Plover, two threatened bird species, regularly nest at Mandalay Beach. The beach is also popular with surfers who like to start at Mandalay and surf north towards a beach break near the power plant. 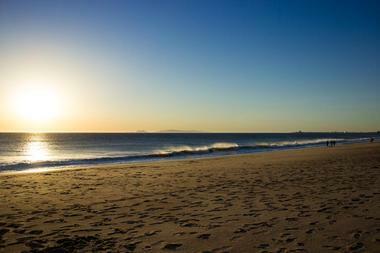 From Mandalay beach, it is an easy hike to Oxnard Beach Park down the coast and McGrath State Beach up the coast. The Carnegie Art Museum is dedicated to showcasing Californian artwork including a number of paintings by famous artists from the region, and is one of the best things to do in Oxnard, California. The museum exhibits span from the traditional to the contemporary, and it is home to a prized collection of photographs by Hollywood famed photographer George Hurrell. In addition to the permanent collections, the museum features many pieces that the artists themselves donated, and it also has rotating non-permanent collections throughout the year to keep the museum fresh and to carry out their mission of providing educational value to visitors. There are also events such as family days, poetry readings, and a book club. Oxnard Beach is a beautiful wide beach with fine, white sand. It is particularly lovely when wildflowers are blooming in the surrounding dunes. 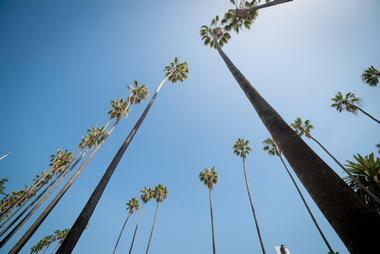 The many tall palms allow you to experience an area that is quintessential California. The beach is part of the Oxnard State Park, with many picnic tables, barbecues, expanses of lawns and paved pathways. A fantastic kids’ pirate playground set back from the beach has sculptures of huge sea monsters and giant turtles, all sorts of rides, baby swings, seesaws, seahorse bouncy, rock climbing, and so much more. The park is popular among local families who often spend a whole day on the beach during the weekend. Channel Islands Harbor is your gateway to the scenic Channel Islands, but a fun destination on its own as well. This 50-year-old working harbor has great sandy parks for picnics and swimming and a network of biking and hiking paths. You can choose from many excellent restaurants when you get hungry, and the Channel Islands Maritime Museum always has an exciting exhibition on display. The museum has a great collection of ship models and some spectacular maritime art. Once in the Harbor, you can book a boat charter, rent a boat or diving equipment, join a whale-watching trip, or, if you came with your own boat, dock at the harbor and enjoy its modern facilities. 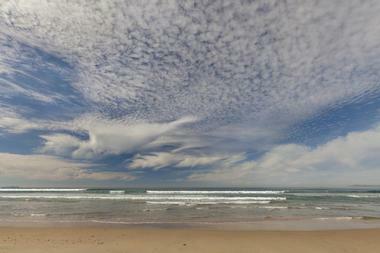 Silver Strand Beach is considered the best surfing beach in Oxnard. This mile-long sandy beach is located between the Channel Islands Harbor and Port Hueneme and has restrooms, showers, lifeguards during the summer, and, at the north end, a scenic viewing platform at the entrance to the Channel Islands Harbor. The platform is a spot many visitors use to try to catch sight of the local marine life, including dolphins and harbor seals. It is one of the few beaches in Oxnard where dogs are allowed. 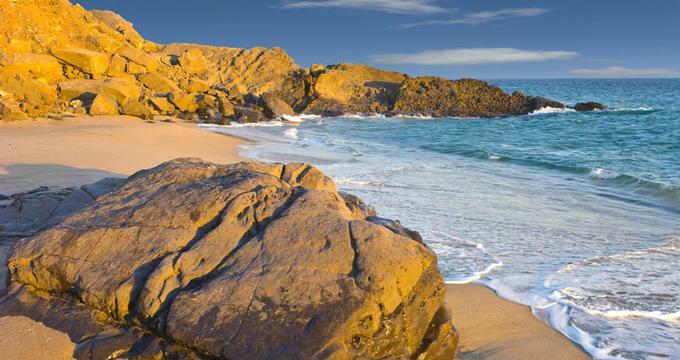 A great swimming beach, Silver Strand is also popular for snorkeling and fishing and has facilities for camping and RVs. Discovering any new region always starts with a few questions: where to begin, what to do first, what can’t be missed, and what is an absolute must. And there is never enough time to do it all. Why not get some help? Start your discovery of coastal California at the California Welcome Center located in The Collection at River Park, a popular dining, shopping, and entertainment district. The center is state-of-the-art and offers a range of services and facilities. Professional staff and kind volunteers are there to answer your question, and the center has a good amount of literature and colorful brochures and maps to help you make a good plan for your adventure. You will learn about all the best beaches, most popular festivals, great golf courses, fantastic outdoor adventures at the Channel Islands National Park, and the best must-visit wineries. You might start your California wine education at the center’s own wine tasting room. Founded by the automobile lover Peter W. Mullin, the Mullin Automotive Museum is a must-visit for enthusiasts who enjoy classic cars dating back to the early twentieth century. There are tours given by knowledgeable staff and both permanent and temporary exhibitions focusing on the craftsmanship and design of these gleaming exhibits. The museum also places emphasis on the background and history of the cars on show and it doesn’t end just with the automobiles, as visitors can see period furniture, artwork, sculptures, and photographs to add to the experience. There is also a museum store selling clothes, books, and other car themed memorabilia such as posters. 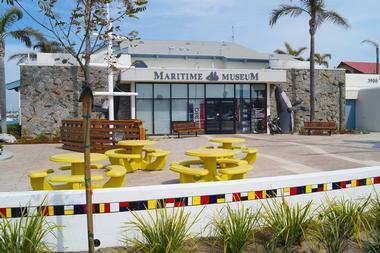 The Channel Island Maritime Museum is a family-friendly attraction featuring paintings, ship models, education programs, and a range of rotating exhibits. For younger visitors, there are field trips and educational tours, and visitors of all ages can enjoy featured exhibitions throughout the year. These displays usually focus on a master of maritime art such as model ship builders or painters. For visitors who enjoy the history of art, there are collections of maritime paintings spanning three centuries, and the museum also hosts events including guest speakers, musical events, and even sea themed food competitions such as Chowderfest. More California vacations. 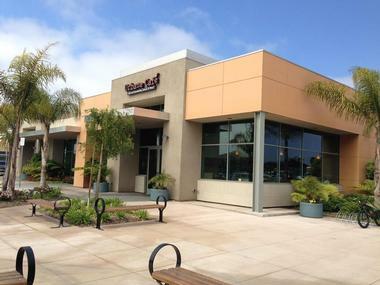 For a little piece of history, head to Heritage Square in downtown Oxnard. The “square” is actually a cluster of restored historic buildings, and there are docent tours available with tour leaders dressed in period garb to walk you through the history of the area. If you are wondering what to do in Oxnard today, this is a great place to start exploring. The site also features over twenty-five different businesses such as wine tastings, restaurants, and a visitor center and gift shop. You can take afternoon tea in the Rose Garden, and Heritage Square can also be booked as a wedding venue. It also hosts open-air concerts throughout the year as well as other events such as cooking classes. 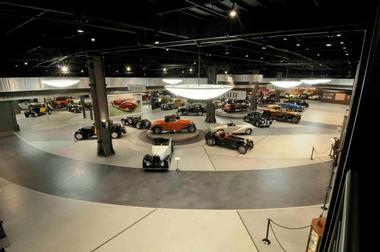 Celebrating the history of the automobile over the past 100 years, the Murphy Auto Museum has more than sixty lovingly restored classic cars on display. There is a permanent automobile collection as well as a working model railway that stretches over 1800 square feet and is operated on the weekends so that visitors can see the railway in action. The museum also operates exhibitions such as period car shows by local clubs, and non-permanent exhibitions focus on famous figures in the automobile industry. Displays include biographies, photographs, and personal memorabilia for visitors to enjoy. The museum is so dedicated to the preservation and restoration of vintage automobiles that they even have an in-house mechanic! 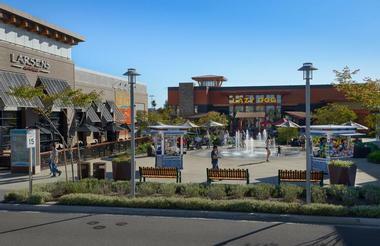 The Collection at Riverpark is a shopping center featuring a wide range of lifestyle options. The center has a number of shopping opportunities, including their anchor tenants such as supermarkets as well as a mix of smaller boutiques and well-known brands. If you are feeling hungry after a morning of shopping then you can choose from a huge selection of outlets, from snacks options like sandwich shops and ice cream parlors to upscale restaurants showcasing cuisine from around the world. After shopping and eating you can stop by lifestyle outlets including hair and beauty salons, fitness studios, and establishments offering art classes, and The Collection at Riverpark even has a movie theatre if you want to catch the latest release. 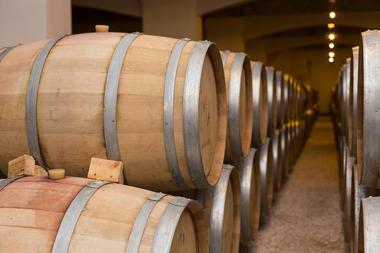 Visit Magnavino Cellars to learn about all things wine related at this stunning working winery. The cellars produce their own range of award winning beverages and are involved at every step of the growing, picking, fermenting, and bottling process. Now, visitors can witness this process firsthand and sample the wines on offer in a tasting room with echoes of rural Tuscany. 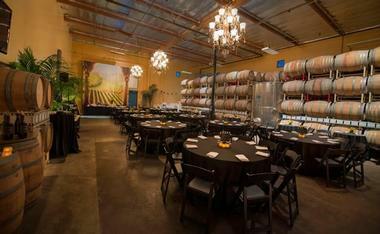 As well as tours and tastings, the winery hosts periodical events that include food and music events in collaboration with local businesses and musicians, and there is a wine club for wine aficionados as well as a wine shop so that visitors can take home their own bottle of Magnavino Cellars’ signature blends. Marine Emporium Landing aims to offer visitors the chance to explore the local area of the Channel Islands Harbour through a variety of fun marine adventures. If you don’t want to take to the water directly, you can enjoy the spectacular sunsets over the bay at one of the many waterside restaurants and bars or simply stroll along the promenade. More adventurous visitors might want to take a boat tour to see the local sea life including dolphins, whales, and sea lions. 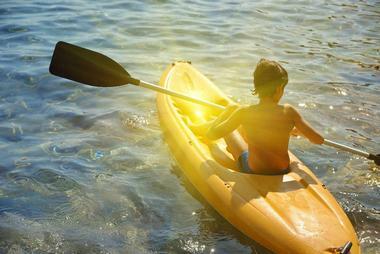 You can even charter your own boat and sail around the marina or simply relax as the crew takes you on a guided tour. 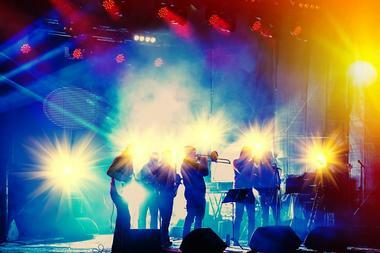 The Oxford Performing Arts Center is a theater complex geared towards trade shows, business meeting spaces, corporate or informal seminars, and a wealth of other events. In addition to a full working theatre space there are also eight meeting rooms, and the centre can accommodate groups of up to 4,000 spectators. The center is great for more than just corporate events – there are beautiful and scenic patio spaces available that can be used for wedding receptions, parties, banquets, or other social meetings. This performing arts center also hosts a plethora of events such as games nights, musical recitals, concerts, and performing arts showcases. 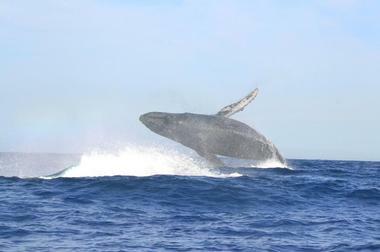 For those wanting to admire some of the local Southern Californian flora and fauna firsthand, Channel Islands Whale Watching offers visitors a front row seat. Choose from fishing trips to try your hand at catching some of the local fish and seafood that swim in these waters, or sign up for a whale watching excursion in the hope of seeing one of these majestic creatures up close. There are also “seafari” excursions around the waters to search for famous sea life found in the area such as sea lions and dolphins. Educational field trips for schools and younger visitors can also be arranged. For visitors who want to take to the waters that are a part of the Channel Islands National Park, look no further than Blue Ocean Kayaking. In a customized boat built specifically with kayakers in mind, you will be taken to neighboring Anacapa Island were you can enjoy a day meeting fellow kayaking enthusiasts and paddling around the crystal clear waters exploring the local sea caves. The island is also home to a plethora of flora and fauna, and you will get a chance to see whales, dolphins, sea lions, and a wide variety of indigenous sea birds in their natural habitat. When a family runs a restaurant and uses an 80-year-old grandma’s recipes, it shows. Everything you get at Fresh and Fabulous is made from the finest ingredients, and they make everything using tried and tested traditional methods. The results are delicious artisanal breads and homemade sauces and dressings, all made from scratch. 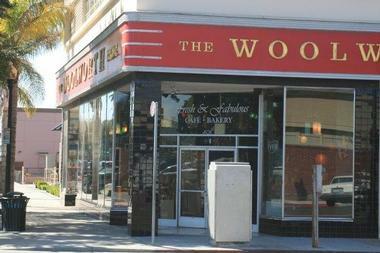 The soups are made daily and they use real butter in their pastries and pie crusts. The wonderful smell of freshly baked goods greets you when you enter their spacious, diner-style restaurant in the historic Woolworth Building with old-fashioned red boots and colorful light fixtures. All their panini, bagels, and sandwiches are fantastic, and you will not be able to resist bringing some pastries for later. With nearly six centuries of production, Herzog Wine Cellars offers a captivating look at the history of wine making over the years. 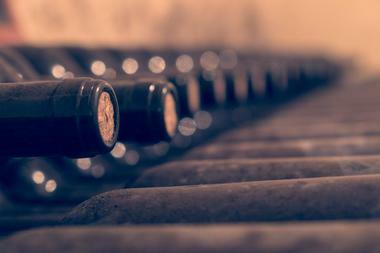 Visitors to the cellars can go on a tasting tour to see how the wines are made and to hear about the origins of Herzog Wine Cellars. They can also dine at the onsite restaurant. The establishment has a wine club and a wine shop that sells the wines made at Herzog Wine Cellars, and there are entertaining and educational events throughout the year such as collaborations with local businesses, including tapas and wine events held on Fridays. 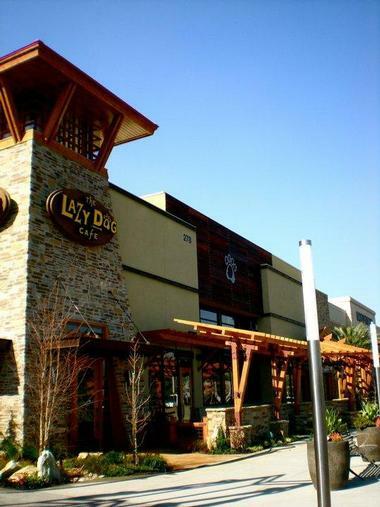 Visiting Lazy Dog is like going to a comfortable mountain lodge that is both rustic and inviting with exposed beams, a blazing fire pit, comfy chairs, and funky dog sculptures. Colorful bottles at the bar and numerous TV screens all around add a touch of vibrancy. The atmosphere is cheerful and lively and the food is fabulous, whether you are bringing new clients or your family for a Sunday lunch. They call their menu “global comfort fare,” which means they have a bit of everything, from stir-fries, pastas, and pot roast to pizzas, burgers, and delicious cakes. You can get a nice cold beer, and your pooch will get a bowl of water on the pleasant outdoor patio. There is even a special dog menu. A sandwich cannot be good without good bread, and at Urbane Café, bread rules. They make fresh dough every morning, and when you stop by, they roll it out, season it with sea salt, brush it with garlic and extra virgin olive oil, and then bake it at 375 degrees in their open-fire oven while you watch. The result is mouth-watering focaccia, which they make using an ancient Roman recipe. The bread is then stuffed with beef, chicken, turkey or just veggies. The meats are freshly sliced while you wait, and all veggies come from their partner neighboring farms. Everything is seasonal, fresh, and delicious. Try their latest invention – focaccia with roasted chicken with rosemary, a mix of julienned carrots, beets, apples, Mozzarella cheese, arugula, and chutney aioli. Urbane has great fresh salads and daily made soups to go with your fabulous sandwich. Rancho Ventavo Cellars started as a passion project of its owners – they loved wine and wanted to master the art of making it. From the humble roots of a home-based hobby, Rancho Ventavo Cellars was born and the winery is now housed at Ventavo Ranch. The winery itself is not as of yet open to the public, but Rancho Ventavo Cellars has a tasting room that you can visit. 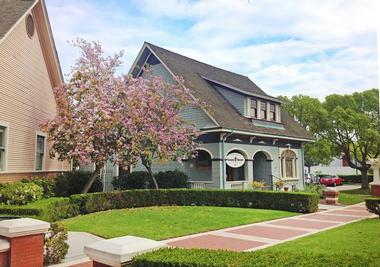 It is located at Heritage Square in Oxnard in the Scarlet House, a historical building dating from 1902. There is a wine shop for visitors to purchase some of the in-house wines as well as a wine club to learn more about all things wine related. Everyone who likes burgers knows how difficult it is to find a really good burger and how addictive they can become once you discover them. 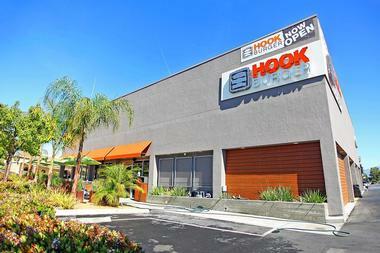 There is a good chance that Hook Burger will become your new addiction. This modern bistro is designed with a lot of attention to the environment – there is recycled hardwood on the floors and ceiling, recyclable packaging materials, exposed beams, and reusable metal baskets for your food. The USDA certified beef comes from humanely raised cows and has no antibiotics, added hormones or growth drugs, produce. Neighboring Babé Farms supply the beef while local bakery WildFlour delivers fresh brioche buns daily. The burgers, which are the stars of this show, are generously sized, juicy, and delicious. They have turkey and veggie burgers too. You can dress your meat with salads, cheese, bourbon onions, pineapple or whatever else you like, but it will be just as delicious on its own with a wonderful brioche bun.